As a child of the internet age, I often find myself playing dumb little internet “games” to pass (read: waste) my idle time. One of my favorite games involves typing a word or phrase into the Google search bar and laughing at the absurdity of some of the suggested searches. Go type “is it impossible to-” into Google and have at it. The game isn’t always so fun, though; in fact, it can sometimes be pretty disheartening. I was recently visiting Culiacán, Sinaloa, in the Northwestern part of Mexico. My entire extended family lives there, so the city and state hold a special place in my heart. I have fond memories of summers spent visiting my family, eating great food, riding in the back of pickup trucks, and chasing chickens in the yard with my cousins. Culiacán is the capital city of the state of Sinaloa and it is a HUGE city, boasting a population of over 800,000 people. There is no shortage of things to do in town. From nightclubs to baseball games to fine dining, it is a major city on par with U.S. cities like San Francisco and Sacramento. But just outside the greater municipality of Culiacán, the metropolis immediately gives way to a breathtaking landscape filled with luscious greenery that covers the peaks and crags of the Sierra Madre Occidental mountain range. There are blue agave fields (for my fellow tequila lovers) and groves of papaya trees loaded with colorful fruit along the highway. The humid weather stirs up clouds that reach high up into the stratosphere, towering over the horizon (on one occasion I caught myself saying aloud, “Check out that cumulonimbus!”). The sunsets are a technicolor display of nearly acidic yellows and oranges that yield to deep, rich reds and purples. A road trip down the length of Sinaloa promises some spectacular sights. Needless to say, I have a bias towards Sinaloa. As does the rest of the world. Remember our Google game? Type in “Sinaloa” and you will quickly find a much different picture of the region than the one I just so lovingly painted for you. The first suggestion that pops up is always “Sinaloa Cartel.” Popular American-produced television crime dramas like Narcos and El Chapo have helped reinforce the association between Sinaloa and drug cartel activity in the collective psyche of popular culture. However, no scripted drama has been as effective as the major news media in cementing Sinaloa as a name synonymous with the unimaginable brutality of the Mexican drug cartels. It’s true. Sinaloa has a major drug and crime problem. The Sinaloa Cartel is considered the “most powerful drug trafficking organization in the world” by the United States Intelligence Community. According to the U.S. Attorney General, the Sinaloa Cartel was responsible for importing into the United States and distributing nearly 200 tons of cocaine and large amounts of heroin between 1990 and 2008. According to the National Drug Intelligence Center, within the U.S. the Sinaloa Cartel is primarily involved in the distribution of cocaine, heroin, methamphetamine, marijuana and MDMA. It is the majority supplier of illicit fentanyl to North America, which has proven to be one of the deadliest drugs available. I am in agreement that this is a very serious problem that no doubt needs to be addressed and eradicated. I am not, however, in agreement with the fear-mongering and sensationalism—the tenets of the American news media—that have turned my dear Sinaloa into a land of boogeymen who threaten to destroy the very foundation of civilized Western society (As I write this, I can hear the faint, yet steady chanting building in the distance: “Build the wall! Build the wall!”). 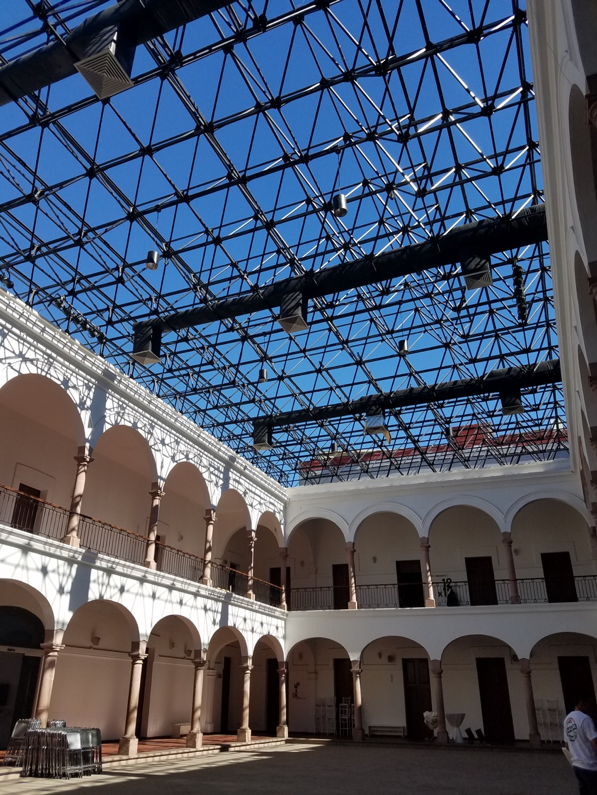 This is why I am here today to tell you about my recent discovery: The Sinaloa Art Museum, or MASIN (Museo de Arte de Sinaloa). Imagine my delight: an art historian visiting my family for the umpteenth time and randomly stumbling across this hidden gem in the heart of downtown Culiacán. You can find El MASIN on the corner of calles Rafael Buelna y Ruperto L. Paliza in la colonia Centro Sinaloa. El Masin is located in an old municipal palace built in the early 19th century. In 1991, the building was inaugurated as a museum and today it houses one of the main plastics collections in northwestern Mexico, consisting of more than 400 works. El MASIN features one of the largest collections from the Mexican School of Painting from the end of the 19th century to the present day. The collection boasts works from some of the hugest names in Mexican art from Diego Rivera to Dr. Atl to Rufino Tamayo, and many more. The vast permanent collection at El MASIN is truly impressive and speaks for itself. However, I was completely floored when I turned a corner and happened across a Robert Rauschenberg on display in the gallery! Yes, I know. Why is it that the Rauschenberg legitimizes El MASIN in my mind as a formidable institution? At the end of the day, I am a product of my formal training in art history, and as much as I hate to admit that these things matter in the world of art collection and display, they just DO. The fact that El MASIN secured a Rauschenberg speaks to the power of American modern art as a status marker for most art institutions. 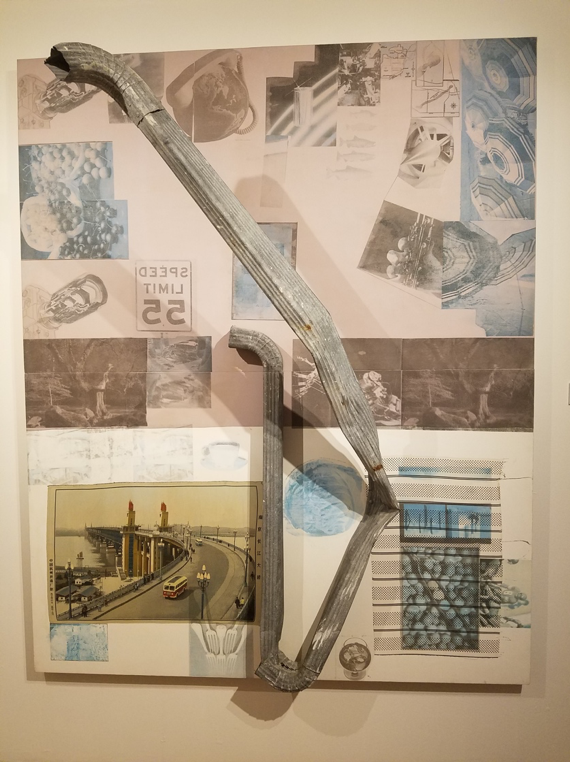 Surely, the curators at El MASIN understood that their collection would be seriously considered as a legitimate body of work with a Rauschenberg in their midst and cite my own excitement over the discovery as strong support for that case. In any matter, the museum was exceedingly good, but I left the building that day with a subtle sense of guilt and shame. Why was I so shocked that the city of Culiacán—a major metropolitan city in Mexico that accounts for 48.4% of the state GDP, a state that is a national leader in the food industry with the production of several million tons of vegetable and livestock production—would house an impressive collection of art? It seems as though I, too, had been swayed by public opinion and found it hard to believe that the city and state who had gained such notoriety as a hub for violence and drug cartel activity would also boast a formidable and important art collection. As much as this complicated realization disturbed me in the moment, I am glad it happened because it inspired me to give some consideration to an institution that deserves our attention. For many in the field of art, Mexico the country exists as Mexico City, the incredibly massive metropolitan capital of the country. We are drawn to its ancient pyramid complexes and grandiose government buildings decorated with the magnificent murals of Los Tres Grandes: Diego Rivera, José Clemente Orozco, and David Alfaro Siqueiros. But we forget that Mexico is enormous and full of art from other artists who were not government sponsored and famous in the United States. Mexico is more than Frida Kahlo and Aztecs and nopal cactuses. Mexico is a formidable Western power who experienced their own process of modernization, and with it, the transformation in the visual arts that accompanies such shifts in civilization. Sinaloa is not the boogeyman, and while this may read as a public relations campaign for the state and its capital, it is merely a reminder that beauty lies in unexpected places. There is an inherent drive to find a culprit for the many deaths that have occurred as a direct result of the drug trafficking carried out by the Mexican cartels. We follow the trials of big crime bosses like El Chapo Guzman with a salacious fervor. We are driven by sensational media and public opinion is easily swayed. This is a call to slow down, turn off the 24-hour news circuit, and do some digging of your own. You may just end up pleasantly surprised. *All images are original photographs from the author. “Culiacan, Mexico Population”. PopulationStat: World Statistical Data. 2017-2019. https://populationstat.com/mexico/culiacan. Retrieved March 16 2019. "U.S. Intelligence Says Sinaloa Cartel Has Won Battle for Ciudad Juarez Drug Routes". CNS News. 9 April 2010. Retrieved March 16 2019. "U.S. charges 10 accused Mexican drug cartel leaders". Reuters. The Washington Post. Archived from the original on 2012-03-31. Retrieved February 28 2019. Chokshi, Niraj (26 February 2014). "Where 7 Mexican drug cartels are active within the U.S." Washington Post. Retrieved March 15 2018. Miroff, Nick (13 November 2017). "Mexican traffickers making New York a hub for lucrative — and deadly — fentanyl". Washington Post. Retrieved March 15 2018. Torres, Alberto Gonzalez (03 July 2017). “Museum of Art Sinaloa (MASIN)”. Mexico Es Cultura: La Cartelera Nacional. https://www.mexicoescultura.com/recinto/66701/en/sinaloa-art-museum-masin-.html. Retrieved March 16 2019. Morales, Alma Guadalupe Servín. “Sinaloa State GDP”. ProMexico: Trade and Investment. 2017. http://www.promexico.gob.mx/en/mx/sinaloa. Retrieved March 16 2019. Jen is a co-host of The Art History Babes podcast, junior art historian, and part-time chemist. You can find her around the Bay Area at various museums, breweries, and heavy metal shows.